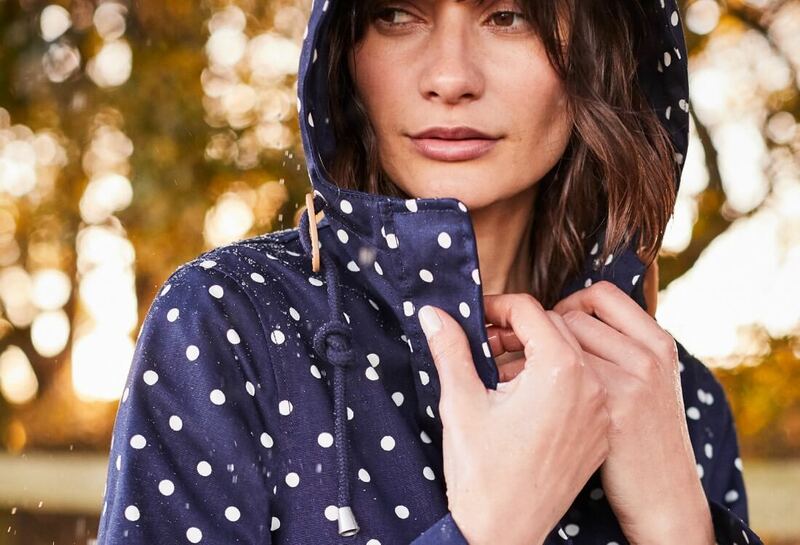 We’re big fans of getting outdoors here at Joules, whatever the weather and especially in the rain. 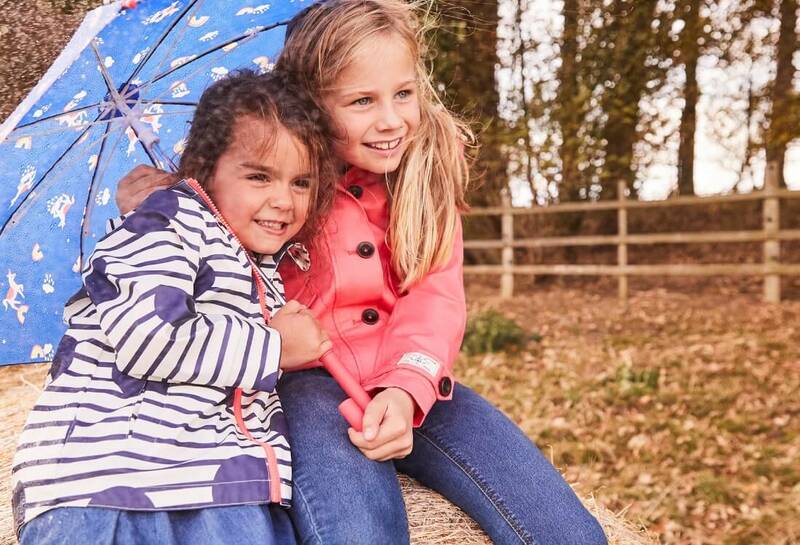 The rain has endless opportunities and is a great time to get outdoors, put on your wellies and raincoat and get exploring. 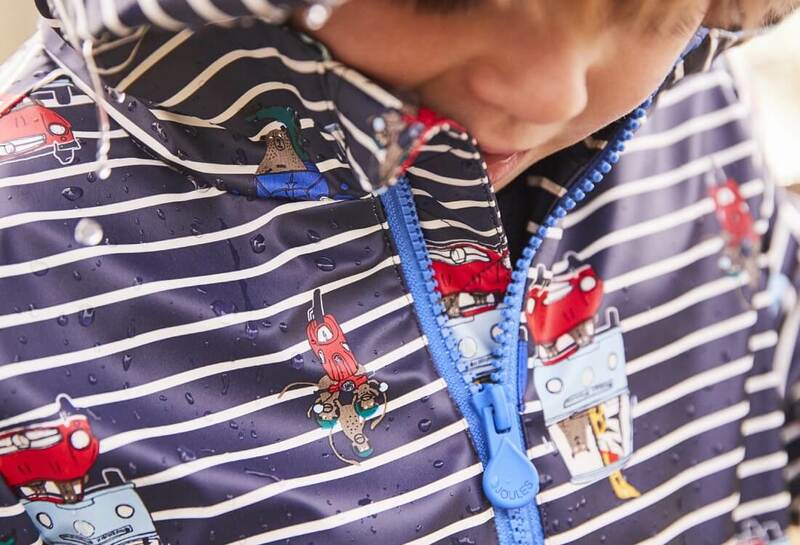 We have picked out our 10 favourite activities to do when it rains. Did you know? People who enjoy the rain are called Pluviophiles. 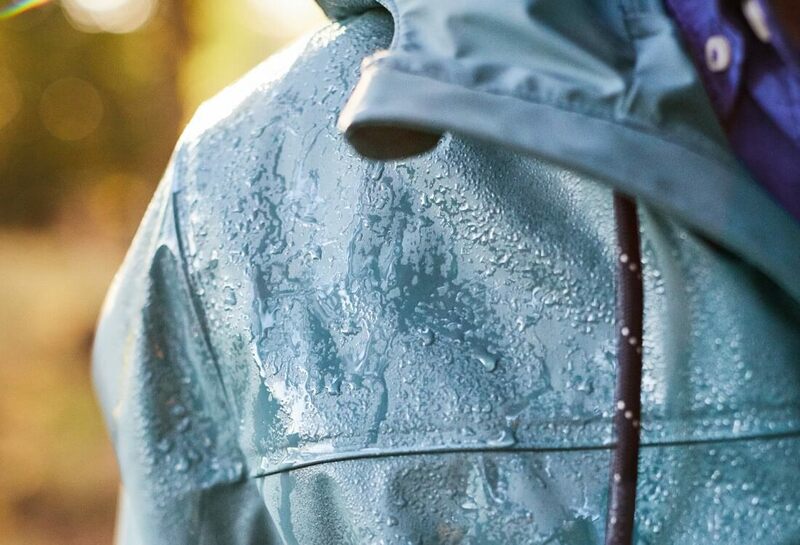 Rain (just the right amount) can turn the great outdoors into a giant playground. 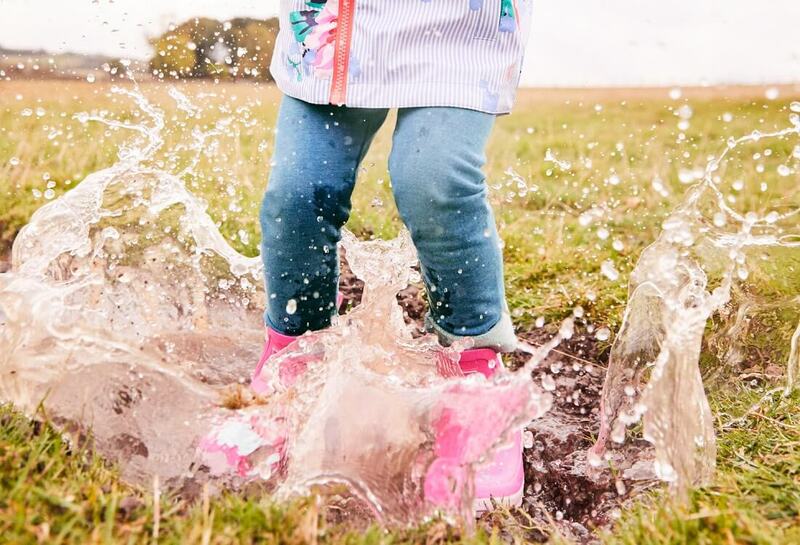 For simple fun, simply put on your wellies and waterproofs, find a puddle and make a splash. Note. This activity is not just for children. Any rainy day is the perfect excuse to make the most of the great indoors. Cuddle up and enjoy a film or start that book you got for Christmas. Rain on the window is a great soundtrack to either. If it’s the spring or summer, it can be a relief knowing that Mother Nature is taking care of a chore for you. 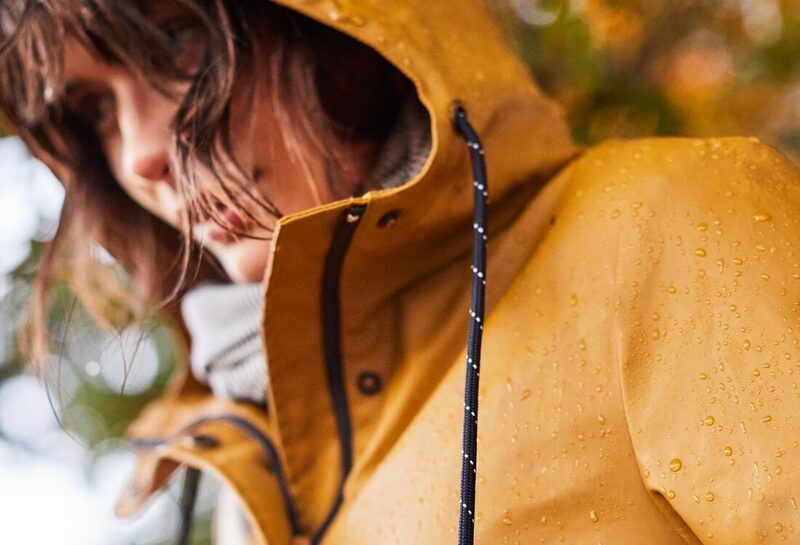 That’s sort of three reasons…In case you didn’t know, we’re big fans of heading outside on a rainy day and truly believe that if you’re wearing the right (bright) clothes, there’s no such thing as bad weather. Some scientists believe that we inherited our affection for the scent of rain from our distant ancestors who relied on rainy weather for their survival. Whatever the reason, the scent of rain just after a hot or dry spell is something we’re looking forward to a lot. Surely you used to do this as a child? Simply sit by the window (a house, train, car – all are great) and bet on a raindrop to make it to the bottom first. It can be played in pairs or simply by yourself. 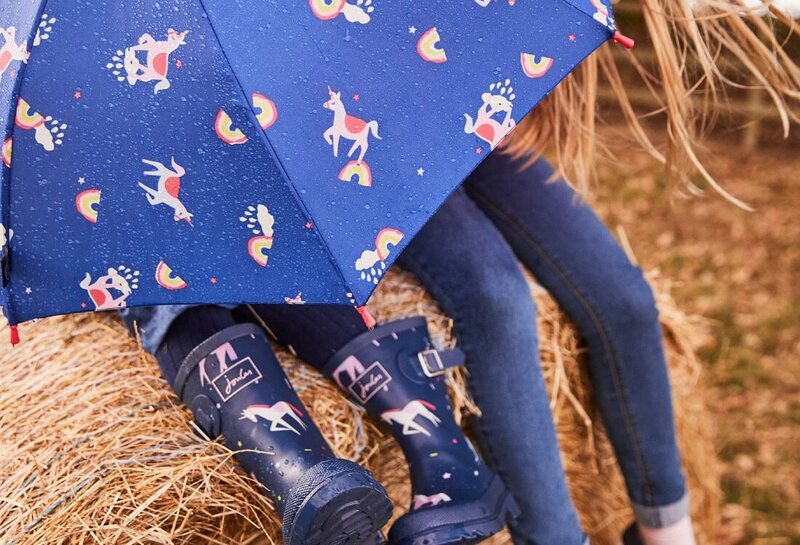 A colourful umbrella can make us feel unbeatable in the rain and is a great way to dazzle in the drizzle. We’re not sure why, it just is. The next time you’re watching a romantic movie look out for the ‘kissing in the rain’ scene. And if you get caught in an unexpected downpour with your significant other, don’t run for cover, embrace it. What camping? Yes! camping. If you think rain sounds good against a window, just wait until it’s falling on top of your tent. Your sleeping bag will have never seemed as snuggly (as long as your tent is waterproof). Not that appetising but an awful lot of fun, making mud pies is a great activity all the family can join in with. 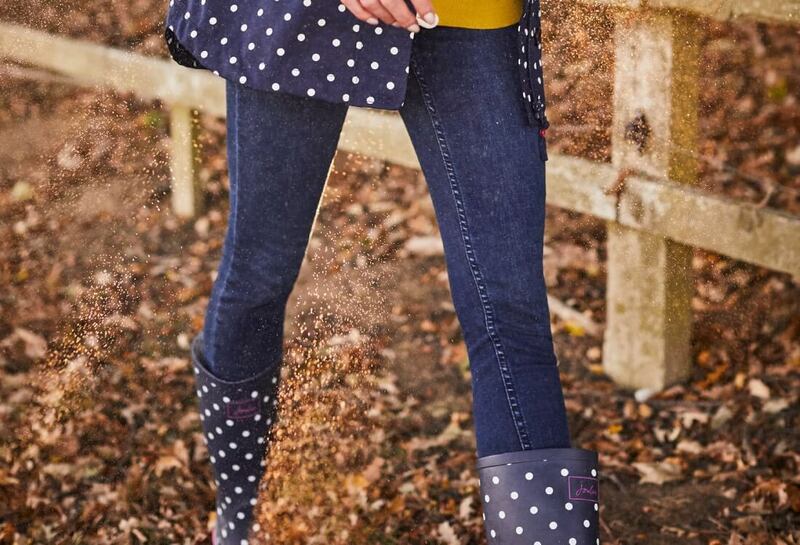 Simply pull on your wellies and waterproofs and find a muddy spot. Season your creation with small sticks and leaves. And watch out for worms.